Saatchi Art’s curators have worked with artists from around the world to hand-pick every artwork we offer on Limited in order to provide you with an unmatched selection of limited edition prints. We are proud to offer "Pomme bleue" by Golnaz AFRAZ, which is available exclusively on Limited. Artworks in a limited edition have a set number of prints available for each size offered. For the 8x12 size edition, "Pomme bleue" comes in a limited edition of only 50 prints. Once all 50 of the prints in this edition size have sold out, there will be no other prints of "Pomme bleue" available in the size of 8 inches high by 12 inches wide. Limited edition prints of this artwork may be available in other sizes. 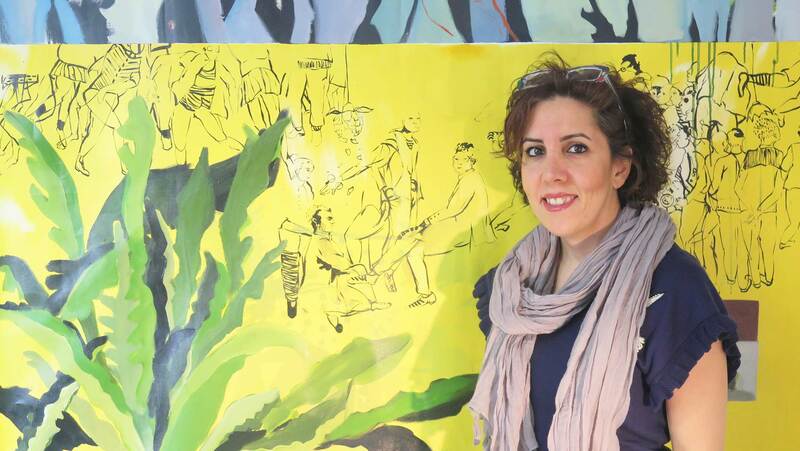 Golnaz Afraz is an Iranian artist now living in France. The amalgamation of cultures, colors, figures, and movement in her work is like recalling the pleasant familiarity of a dream. She is inspired by theater and cinema, adding a sense of movement to her compositions.